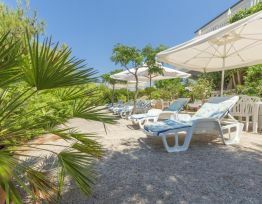 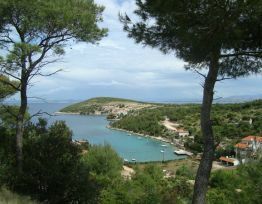 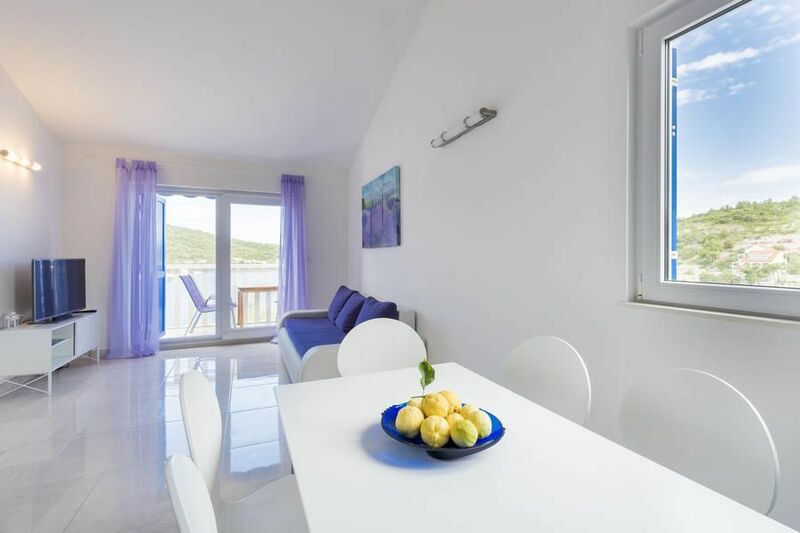 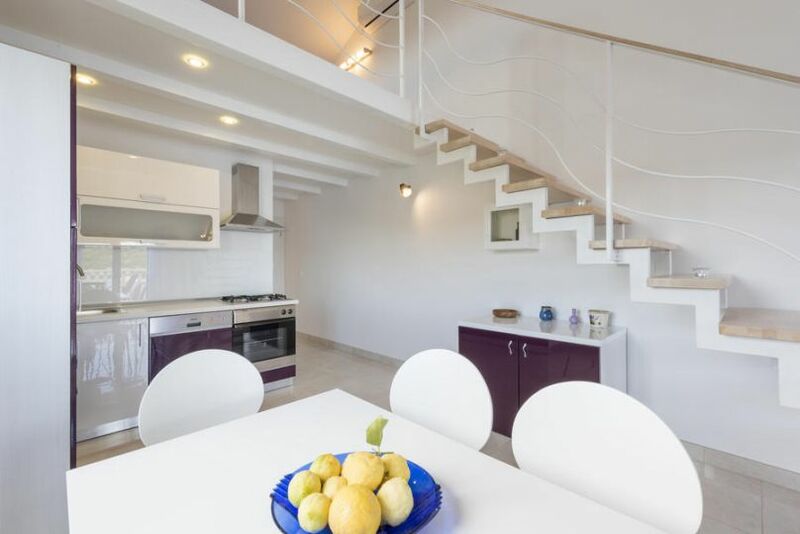 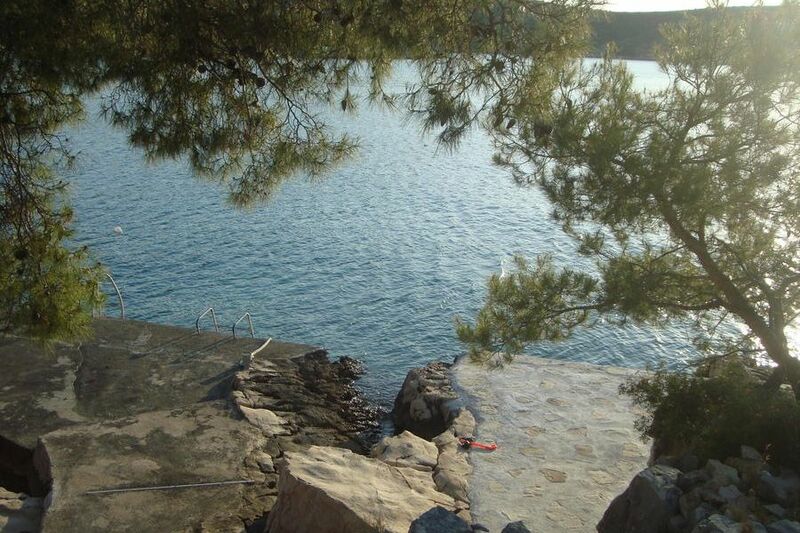 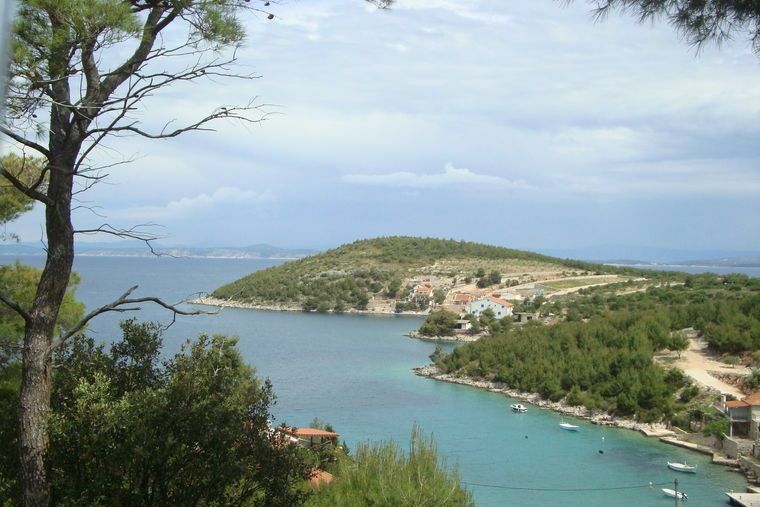 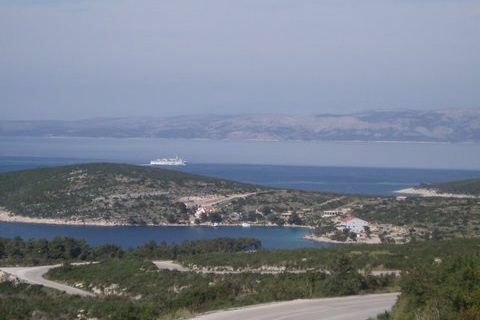 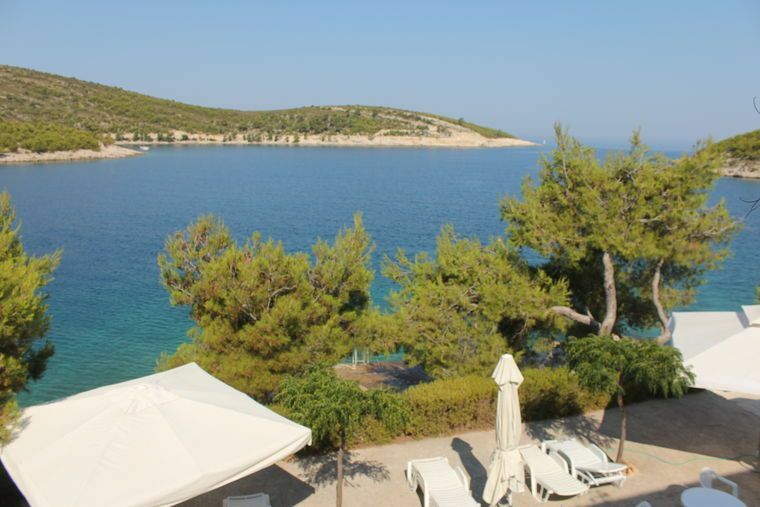 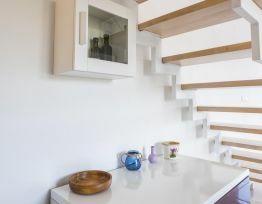 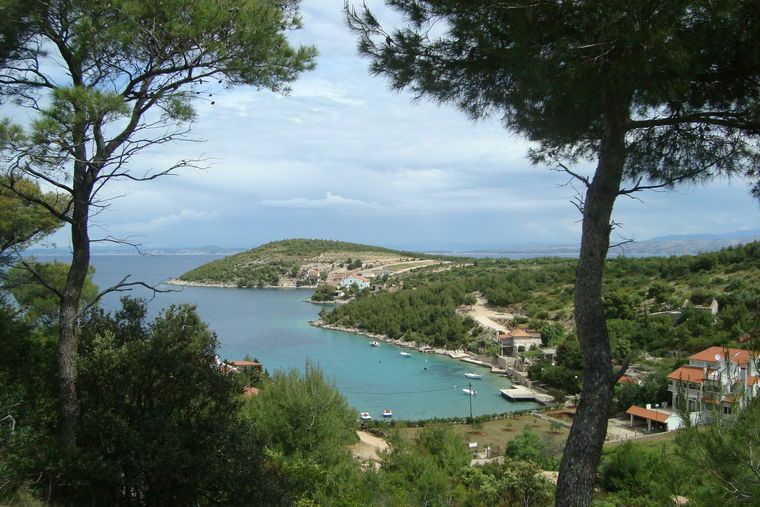 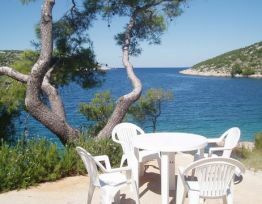 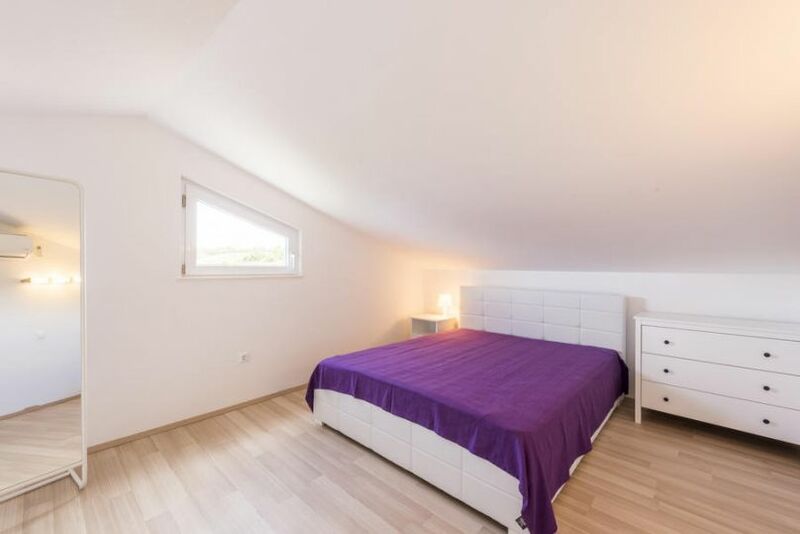 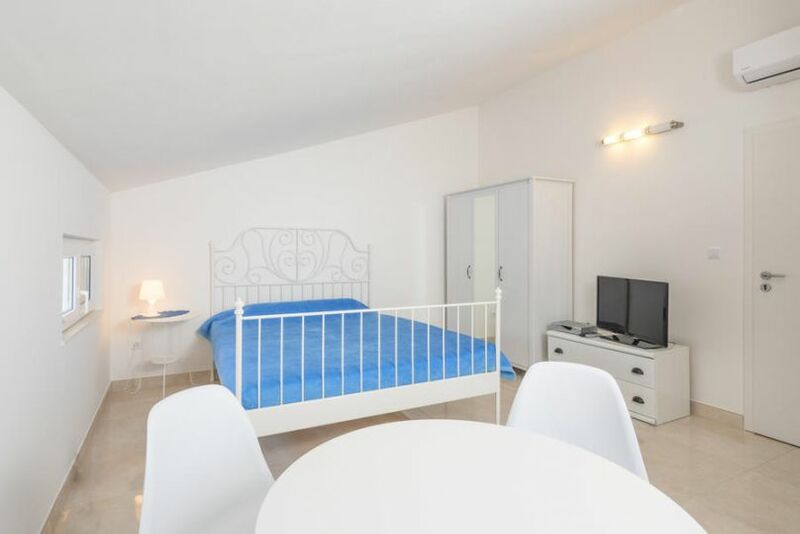 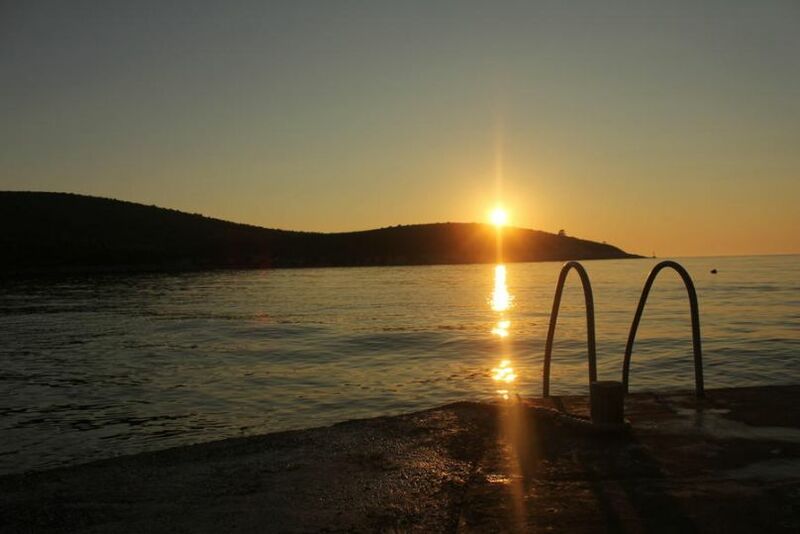 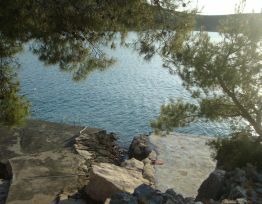 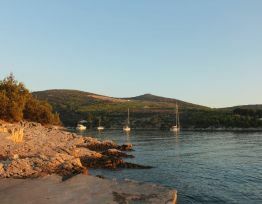 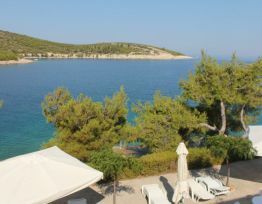 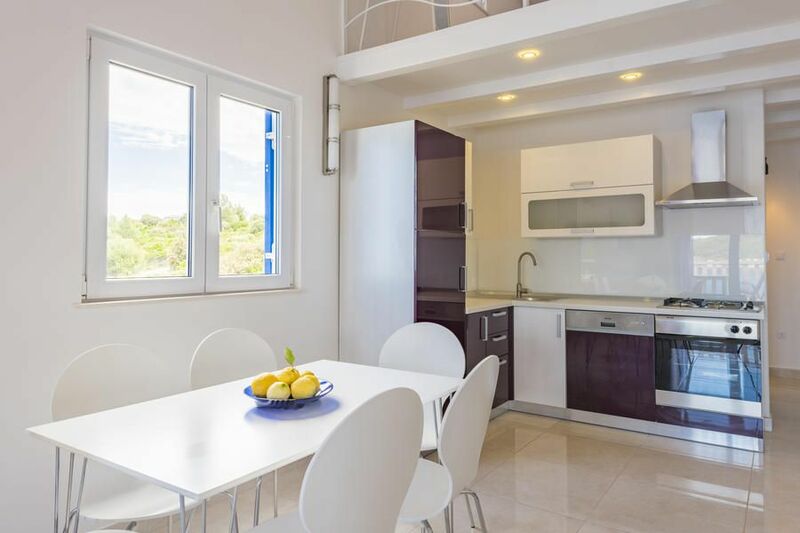 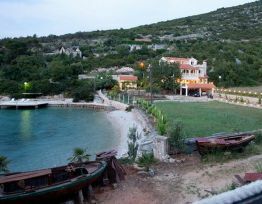 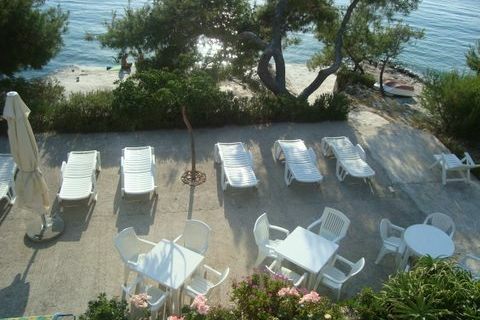 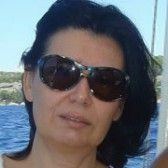 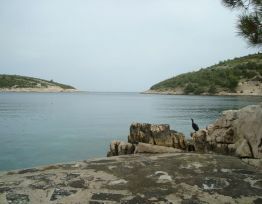 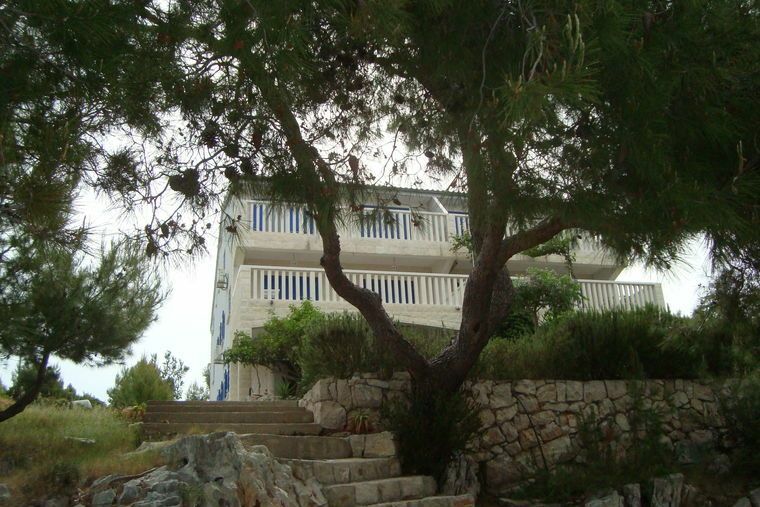 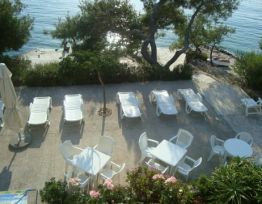 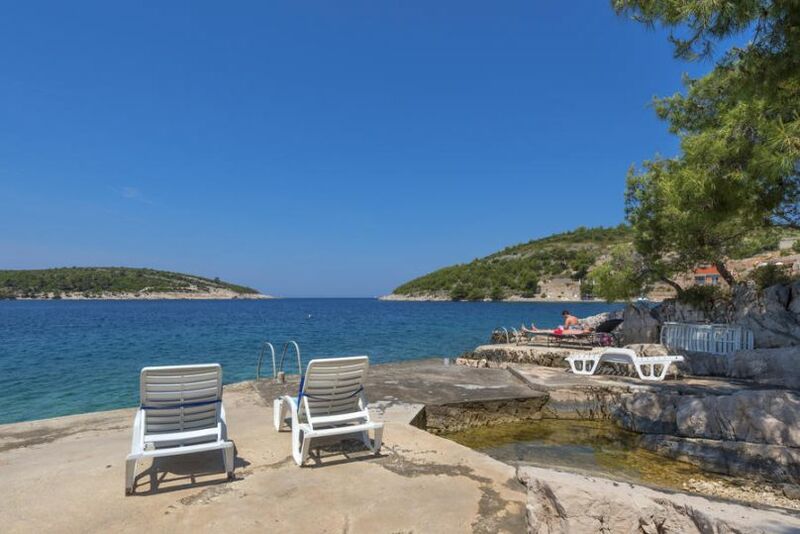 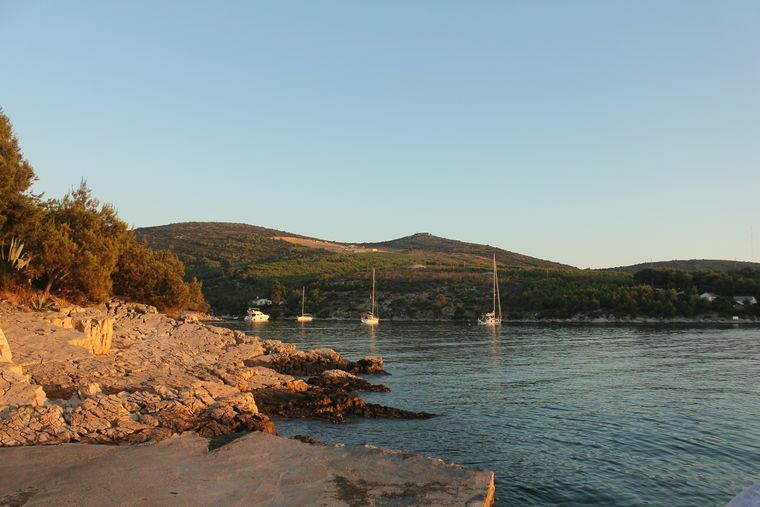 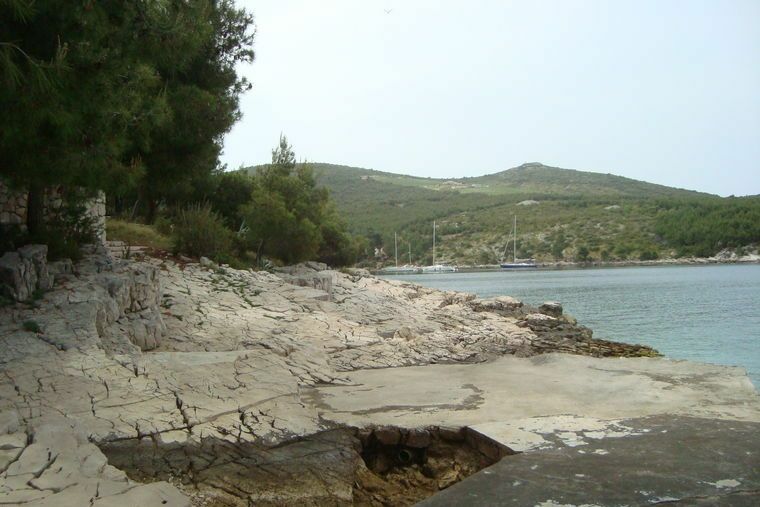 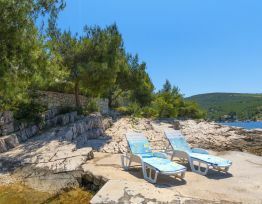 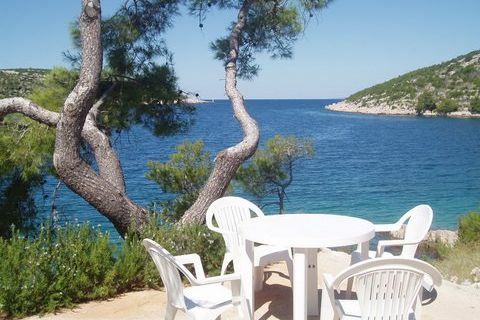 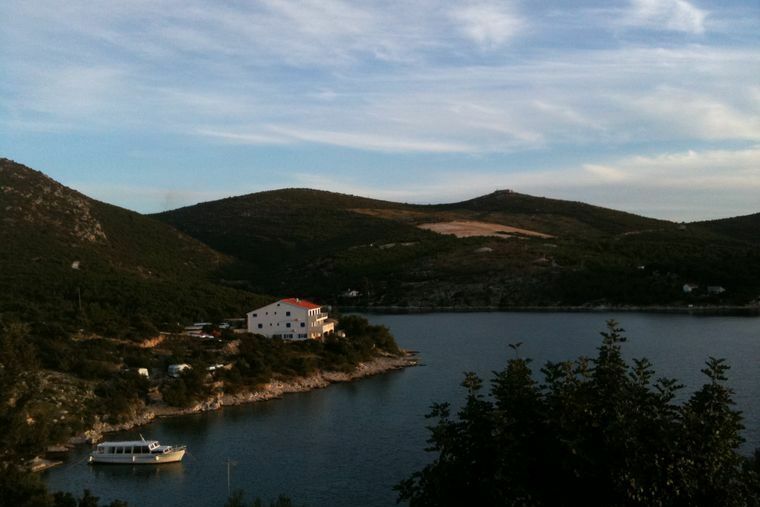 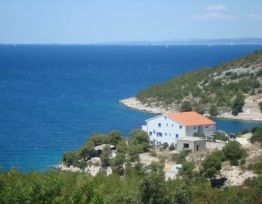 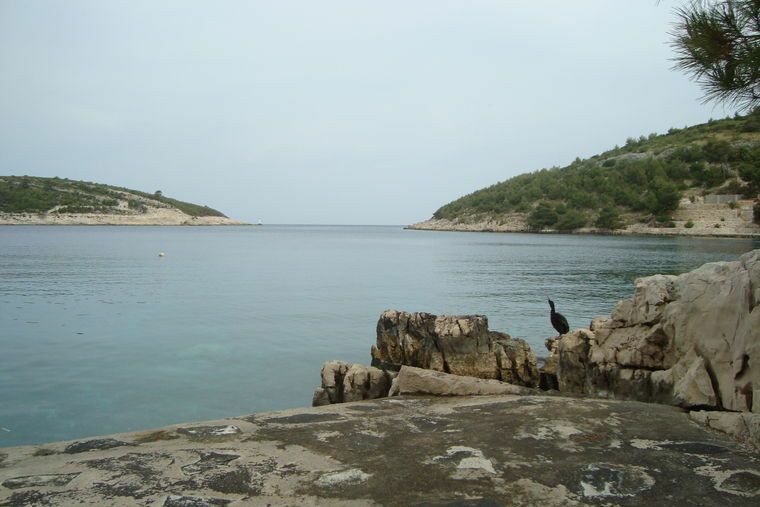 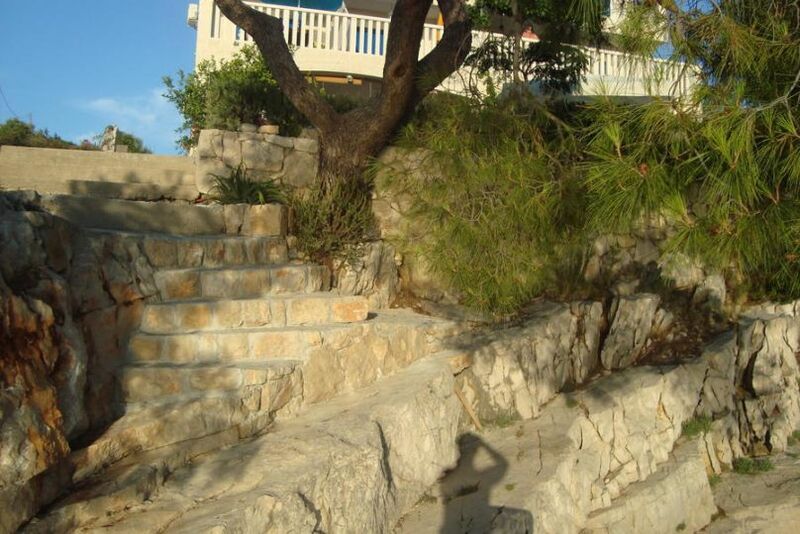 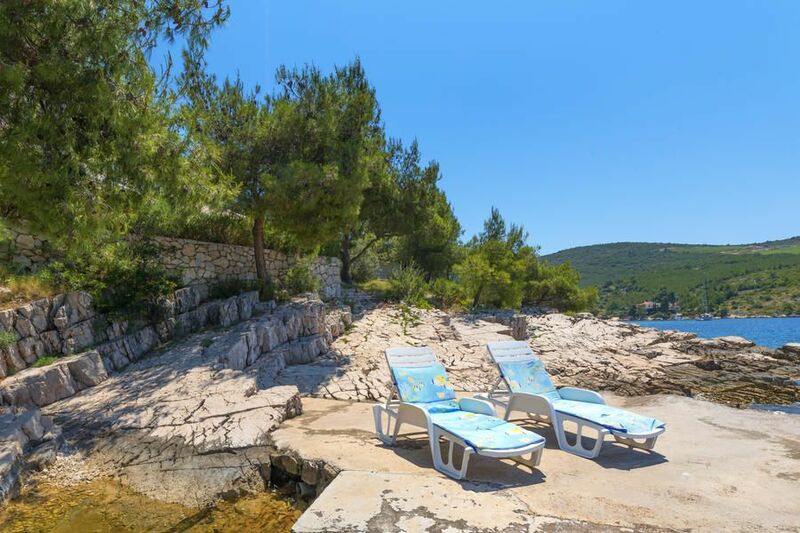 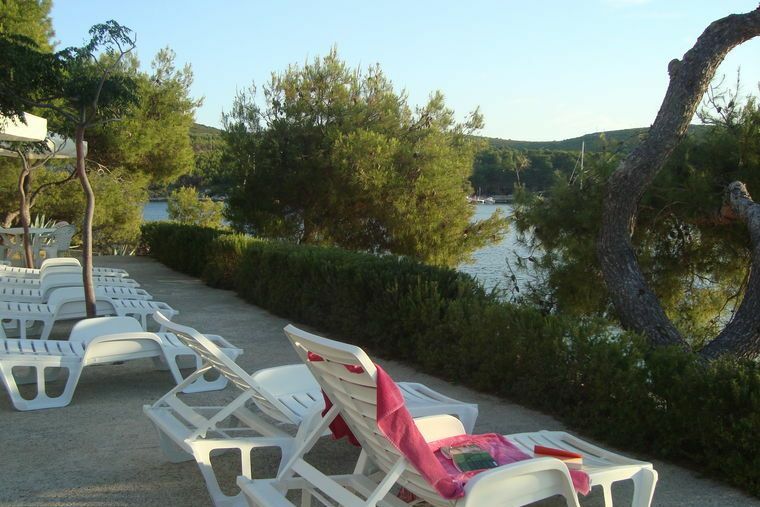 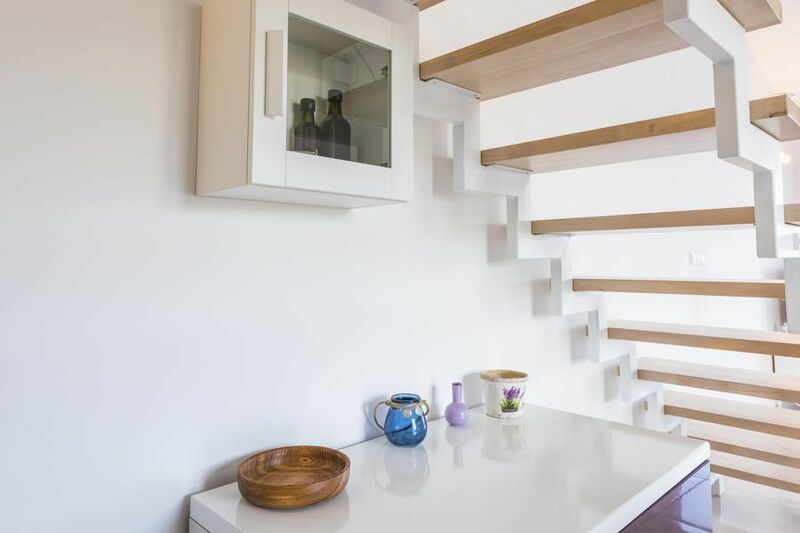 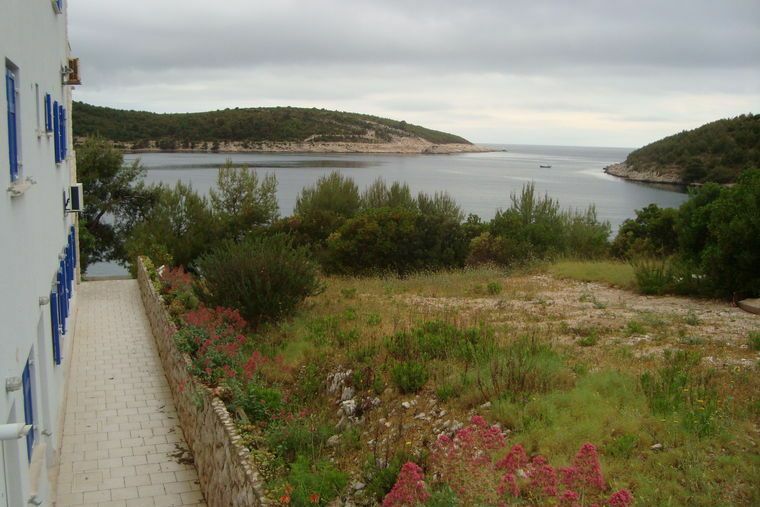 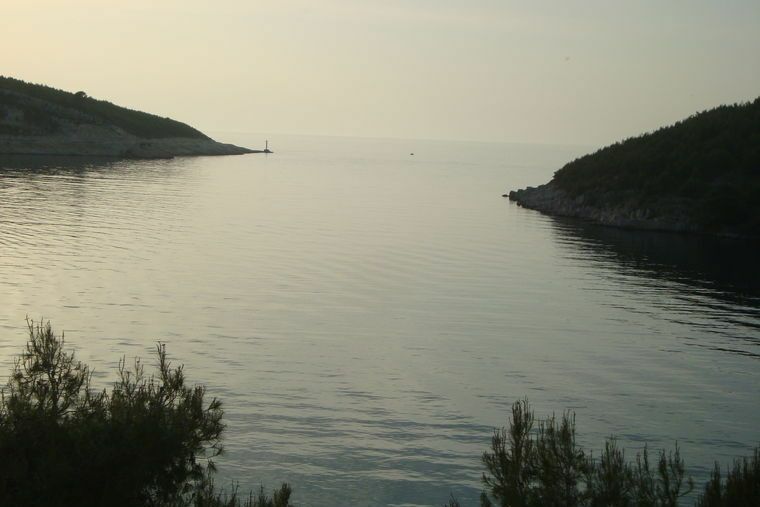 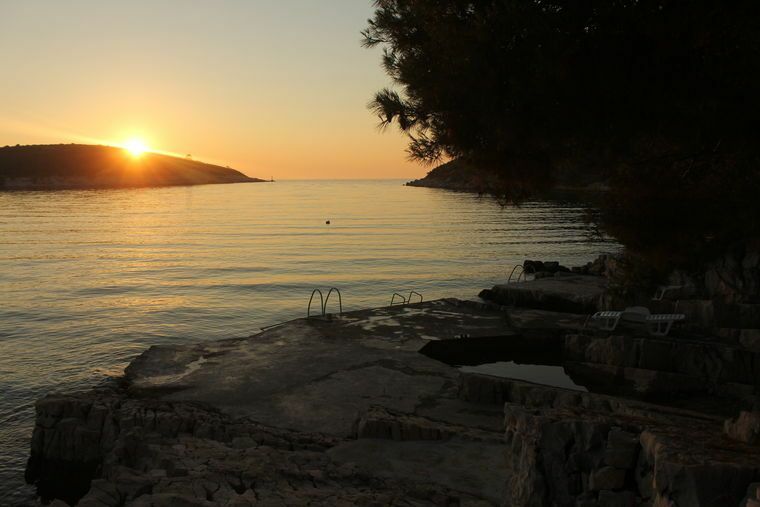 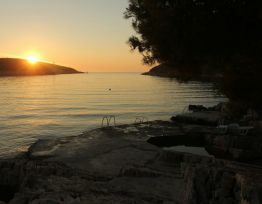 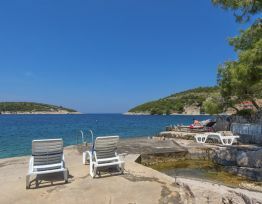 Uvala Kalober, 4 km from Hvar: The property is situated in the picturesque Kalober Bay, on the west coast of the island of Hvar, only 4.2 km from the nice, historical town of Hvar. 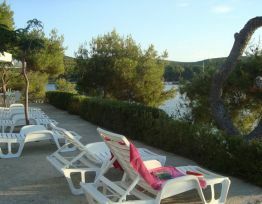 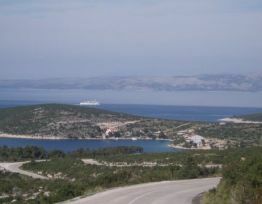 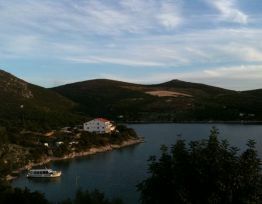 Ideal place for relaxing holidays on the sea, in the nature. 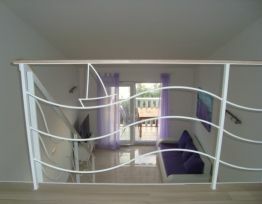 small apartment house. 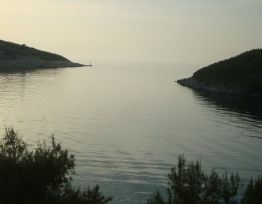 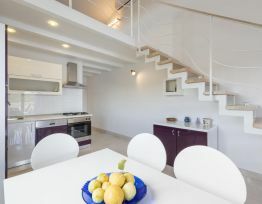 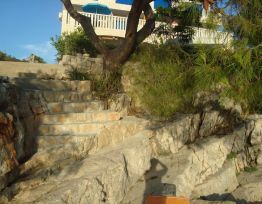 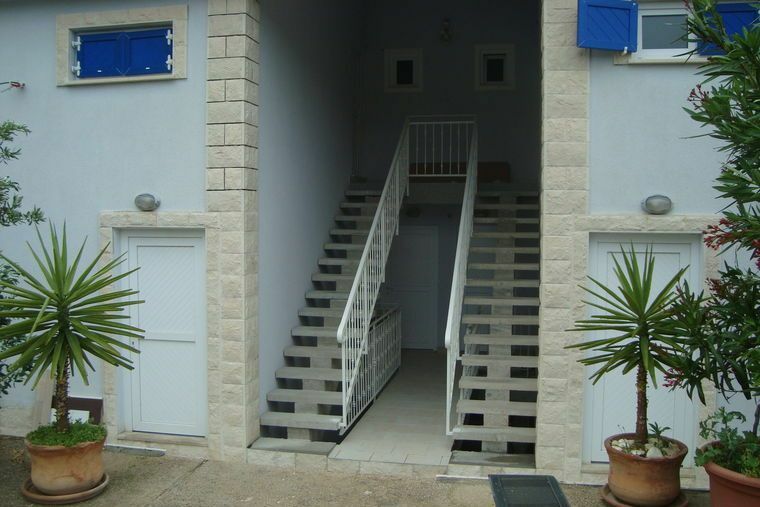 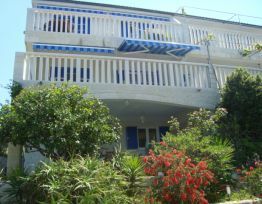 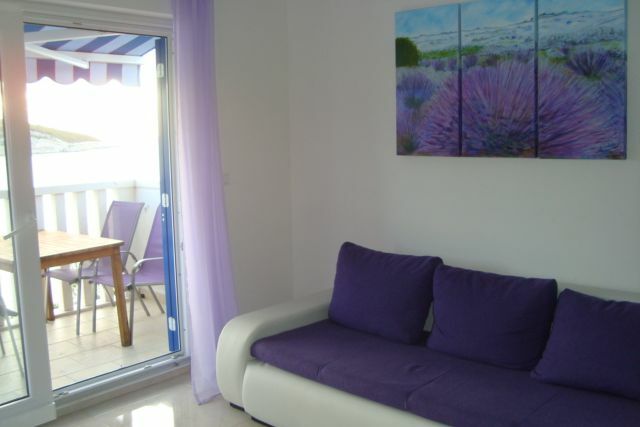 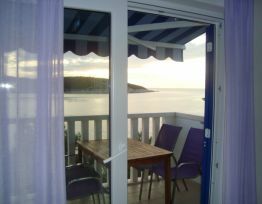 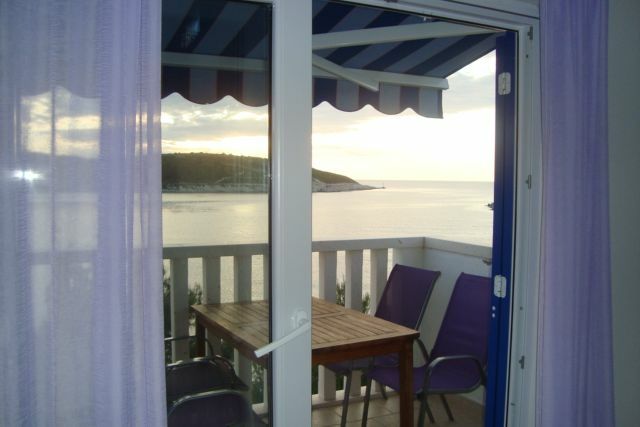 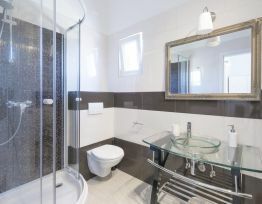 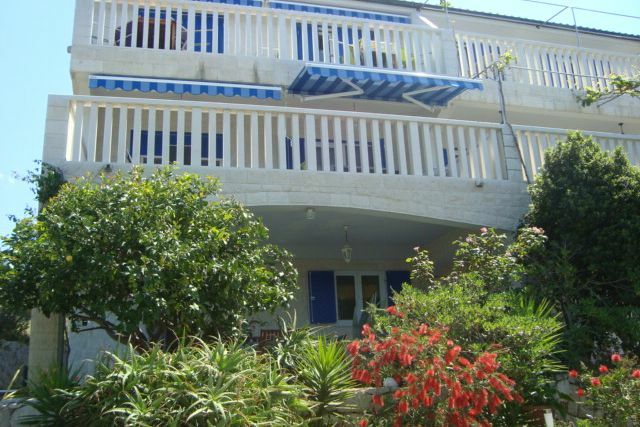 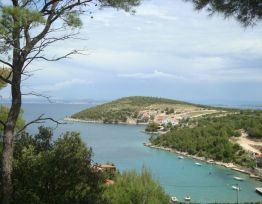 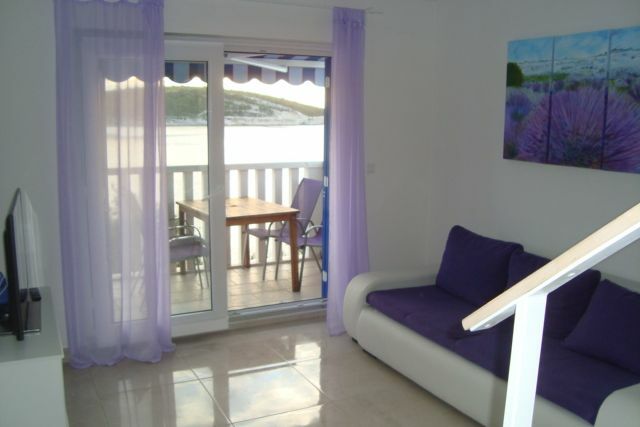 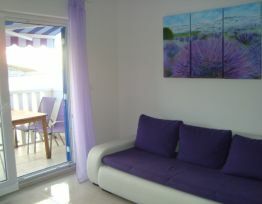 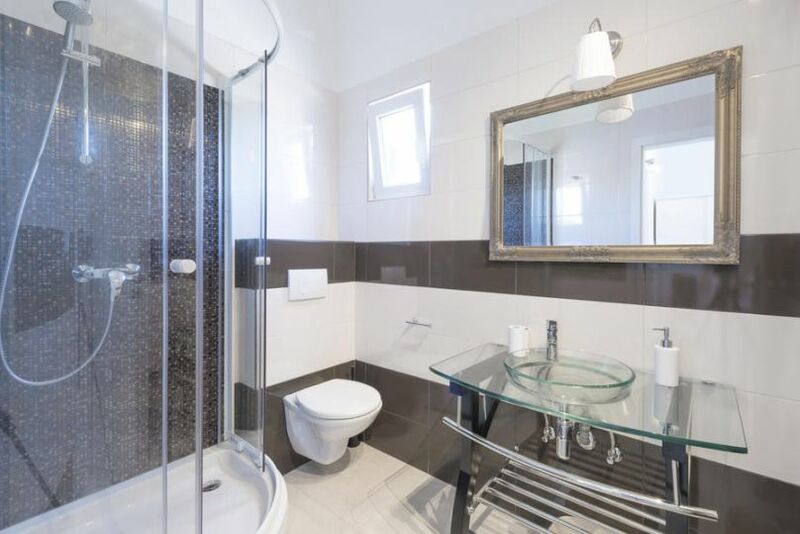 In a secluded, quiet, sunny position, 10 m from the sea, 10 m from the beach. 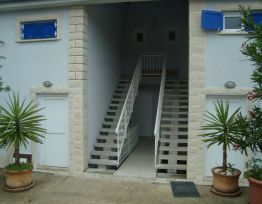 For shared use: outdoor shower, terrace (100 m2), garden furniture, barbecue. 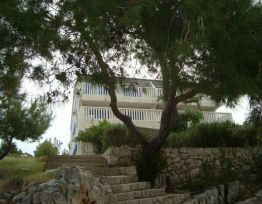 Parking at the house on the premises. 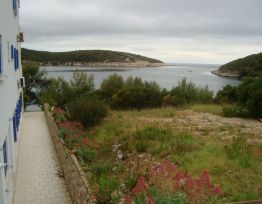 Shop 1 km, restaurant 700 m, pebble beach 1.5 km, rocky beach 10 m. Tennis 2 km. 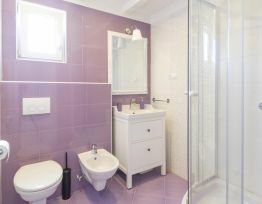 Please note: There are more similar properties for rent in this same residence. 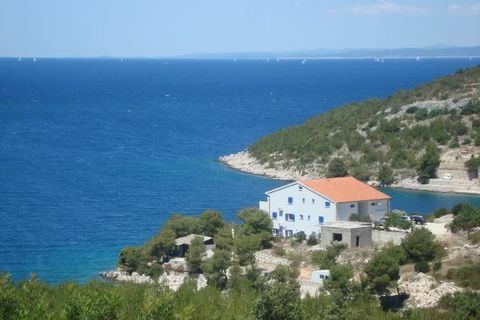 Possibility to buy house made : olive oil, brandy and wine from the house owner. 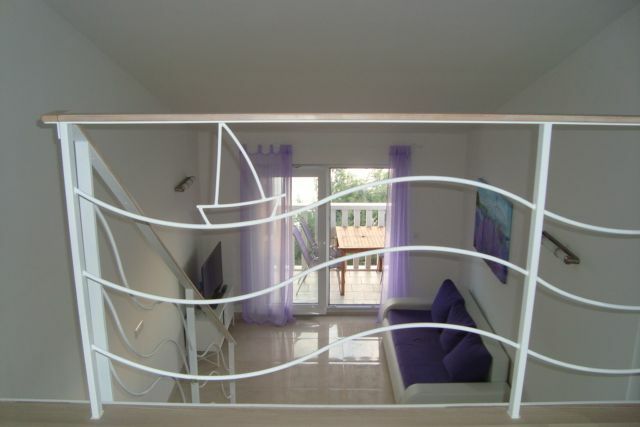 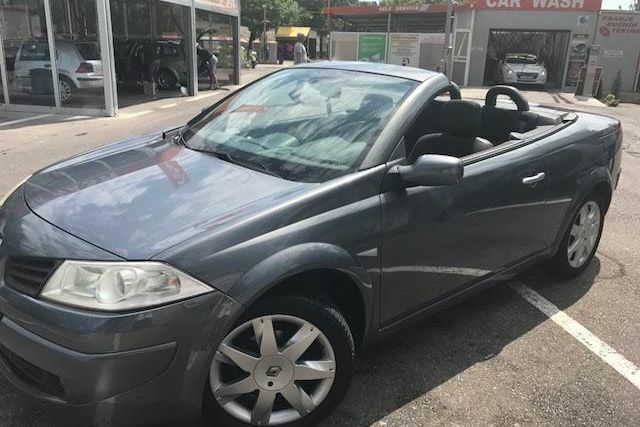 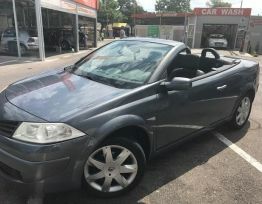 Possibility to rent a motor- boat ( 5m). 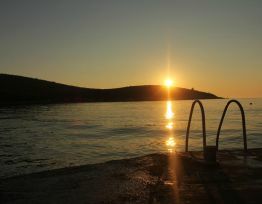 Please note: licence required. 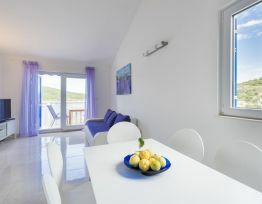 Stay less than 4 days increases price for 10 %. 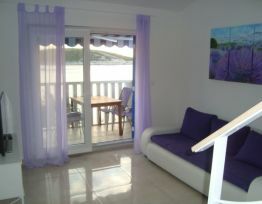 Stay more than 14 days reduced price for 5 %.